High in the Wasatch Mountains—but just a 30-minute drive from Salt Lake City—you’ll find Utah’s biggest and best mountain town: Park City. Founded during the silver boom, the town nearly faded from history when mining operations ceased. The establishment of a ski scene brought it back to life, and now Park City has become one of the top winter destinations in the country. But the world-class skiing and snowboarding isn’t the only way to enjoy Park City’s snow season. Of course, most people do come here to enjoy the endless acres of famous Utah powder, but some family members may prefer not to ski, or maybe you just need a recovery day. From snowshoeing to sleigh riding to dog sledding, there are countless ways to venture outdoors in the winter. 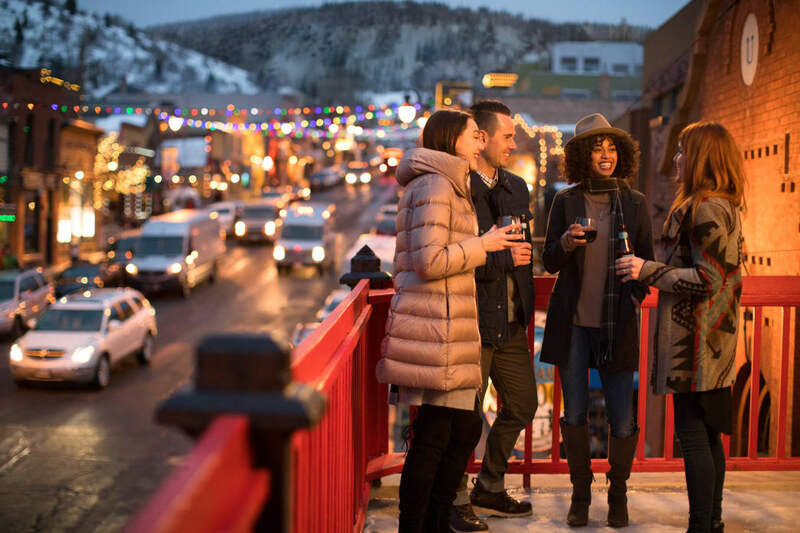 Pair those with Park City’s excellent restaurants, bars, boutiques, shops, resorts, and spas, and you’ve got yourself a frosty vacation you won’t soon forget—even if you never hit the slopes. Here are eight ways to enjoy Park City without ever strapping on a pair of skis or snowboard. Beyond the ski slopes, find countless snowy activities for adventurous and casual outdoor lovers alike. Keep it simple with a guided snowshoe tour through woodland terrain, or challenge yourself with a fat bike ride on Park City’s rolling, winding white trails. For a thrilling adventure with zero skills required, hop aboard Park City’s alpine coaster for a twisty-turny trip through a winter wonderland. For a real thrill, try Utah Olympic Park’s bobsled experience where you’ll race at speeds topping 70 miles per hour on the bobsled course used in during the 2002 winter games—with a professional driver at the helm, of course. You don’t have to be a skier to explore the slopes. Bundle up and head to Park City Mountain Resort for an evening horse-drawn sleigh ride that will take you to the Snowed Inn Sleigh Company slopeside cabin. There, cowboys and girls lead your sleigh up the mountain where hot cider, an authentic Western feast, and live music await. Or get the whole family’s hearts heart pumping with a dog sled tour through the Wasatch Mountain meadows. Your crew, a team of sled dogs, and an experienced musher venture into the woods, and you may even get the chance to take the reigns. First settled in 1869, this mining town has preserved its history well, maintaining 47 buildings on the National Register of Historic Places. You’ll find Park City’s old mining general store, the old jail, and a former hotel along Historic Main Street, plus many revitalized Victorian mining cabins on the adjacent block. Step inside Main Street’s Park City Museum to learn about these early days, and how skiing saved the town when the mines went bust. For an after-dark lesson in Park City lore, book an outdoor evening tour with Park City Ghost Tours. Walk the streets with costume-clad guides that share stories of ghosts who still haunt the town today. If you like your history with Olympic flair, head to Park City’s Utah Olympic Park to visit the 2002 Olympic Winter Games Museum and the Alf Engen Ski Museum. Both museums are free to visit and can be paired with a bobsled ride down the Olympic track. You can also often see future Olympians training on the bobsled, luge, skeleton, or ski jump on a visit there. A foodie revolution has brought incredible cuisine to Park City, and a walk along Historic Main Street showcases many fresh favorites. Enjoy a wood-fired feast at Firewood, or head to Fletcher’s for elevated American fare (don’t miss the cheddar biscuits). Just off Main, Davanza’s is a long-standing classic serving up tasty tacos, pizzas, and burgers at reasonable prices. Can’t decide where to eat? Take a Park City Food Tour to try a variety in a single night. Find mountaintop experiential dining at Deer Valley’s Fireside Dining where delectable courses like raclette cheese, local meats, and fondued desserts are cooked and served from stone fireplaces. Beyond the historic district in Nuevo Park City (Kimball Junction), taste local favorites like Five5eeds, an Australian all-day café, and Twisted Fern, a purveyor of modern American cuisine. Whether you ski, snowshoe, or walk your way around Park City, après is the best way to end a day in this mountain town. And despite Utah’s teetotalling reputation, there are plenty of places to get a drink. Find a dram of the good stuff at Utah’s first post-Prohibition distillery, High West Saloon, where spiked hot chocolates and hot toddies are mixed with Utah spirits. Party with Parkites (that’s slang for locals) on the outdoor heated patio of No Name Saloon, or stop by Old Town Cellars to enjoy a classy wine and charcuterie plate pairing. And you can imbibe on-mountain, too—even if you’re not skiing down. Sip on Veuve Clicquot champagne inside a yurt at Montage Deer Valley’s Après Lounge, or kick off a morning with Park City’s best Bloody Mary on the St. Regis Deer Valley’s slopeside patio. For the gin lover, nothing beats Alpine Distilling’s new Gin Experience. Go underground to their Main Street microdistillery to distill your own batch with hand-selected botanicals. While it cooks in a copper still, enjoy a paired dinner from 350 Main and an education on gin. Go home with a full bottle of your unique infusion. When the air temperature drops below freezing, find indoor family fun at Kimball Junction’s Jupiter Bowl. This fancy bowling alley offers lux lanes—with a full bar—plus billiards and an all-ages arcade. For a challenge kids and adults love, book a room at Escape Room Park City. This homegrown shop is just a block off Main Street, and it designs scenarios where you have under an hour to discover clues, solve the puzzle, and escape the room. There’s no need to rough it in Park City, where high-end accommodations offer easy mountain access. Longtime favorite Stein Eriksen Lodge is set right on Deer Valley’s slopes, and you’ll find plenty to enjoy without ever leaving the property, including a massive pool, movie theater, and a retro arcade. For families, The Residences at the Chateaux offer spacious on-mountain options with all the conveniences of home. 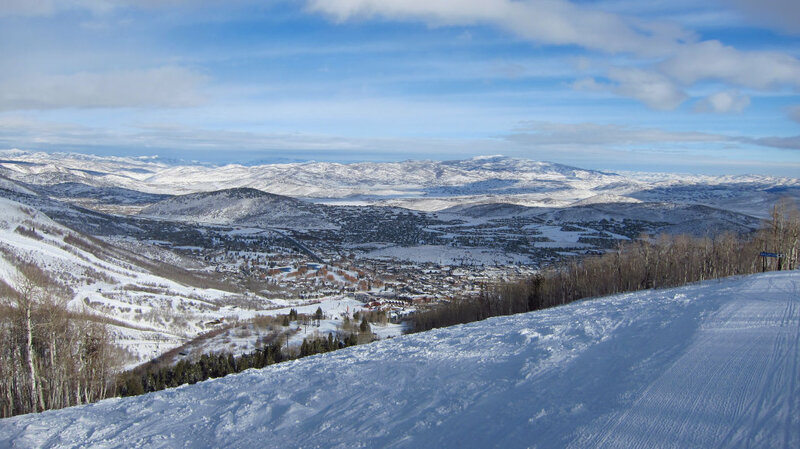 Park City is just 37 miles from the Salt Lake City International Airport—making it one of the country’s most accessible mountain towns. You don’t even need a car to see the sights. If you hate driving in snow, take a mountain shuttle or Uber to town and enjoy Park City’s walkability. Just ambling on Main Street? Ride the free trolley to skip the climb up the hill. Use the free City Bus to travel everywhere else. Sure beats the traffic and parking fees of other mountain towns. 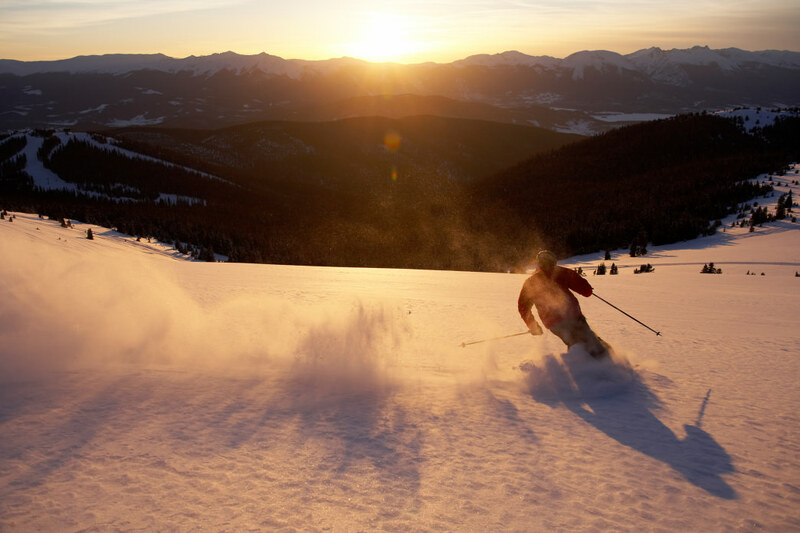 Of course, you can always decide to take advantage of the incredible skiing and snowboarding at Park City Mountain, the largest ski and snowboard resort in the United States. But even if you decide against it, you’ll have no problem finding plenty to do in this scenic mountain town. Written by Jenny Willden for RootsRated Media in partnership with Rent Skis.